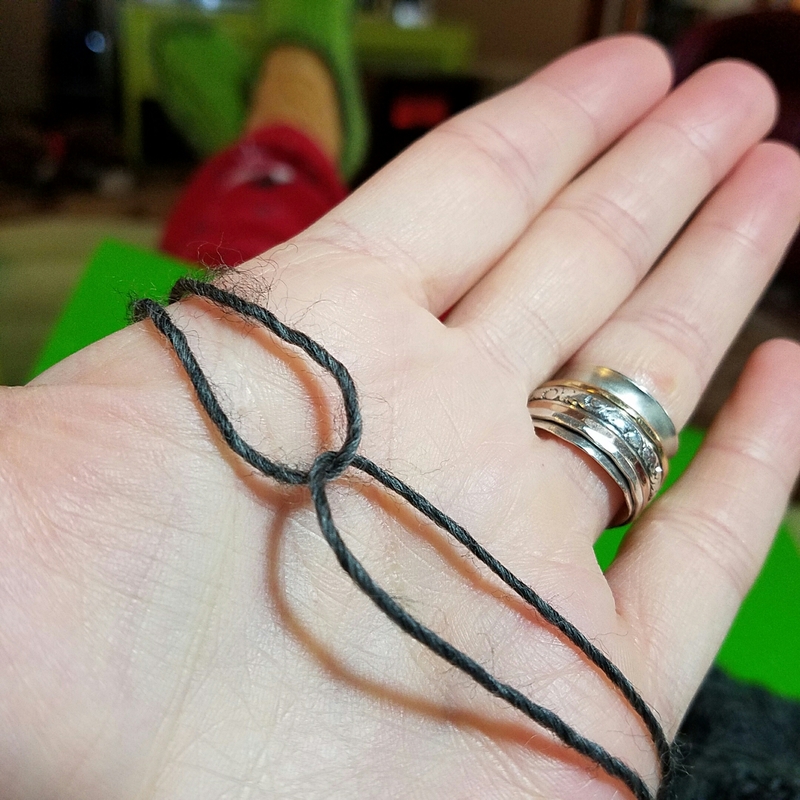 This last month at Wichita Knitters’Guild Tami Carlson taught about weaving in ends in lace, and this join was a large part of the discussion so I wanted to demonstrate how fabulous (and so easy) it is to do. Next, I take my new yarn crossing it over the old in a t, then folding the ends back on themselves. Thread the needle in one end, it truly doesn’t matter which end of the two you start with. 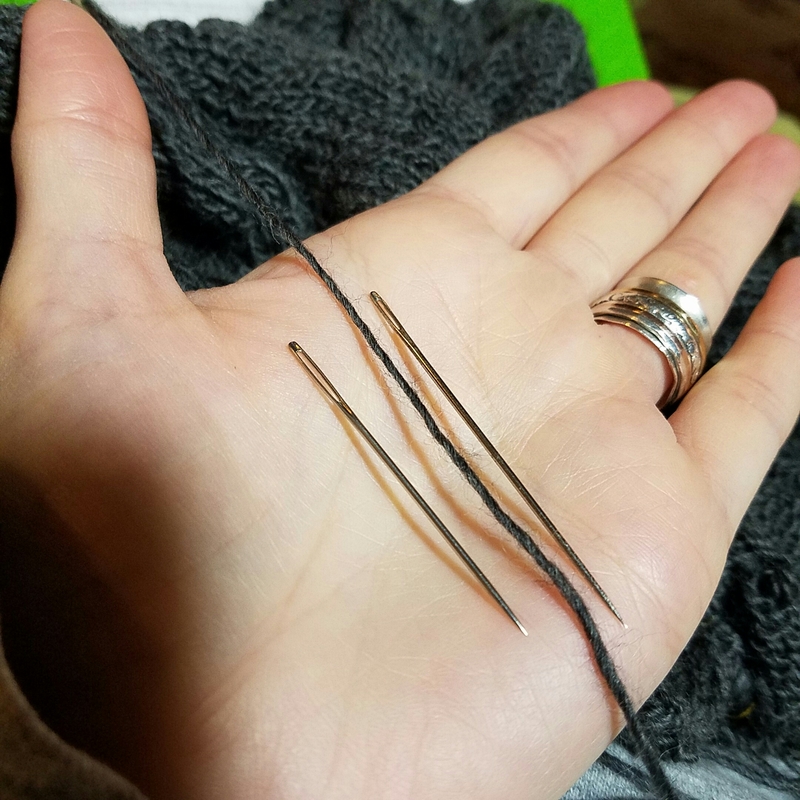 Now begin weaving your needle through the same yarn; new to new, old to old, for at least 3″ on each side. 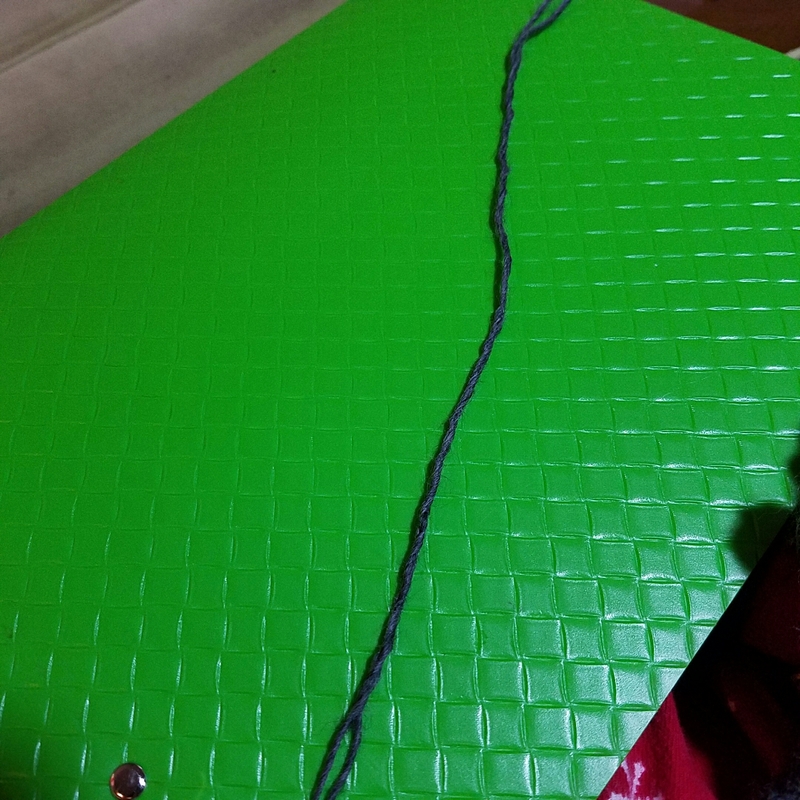 Do you see the loop at the bottom of the woven yarn, where the other end is laying through? 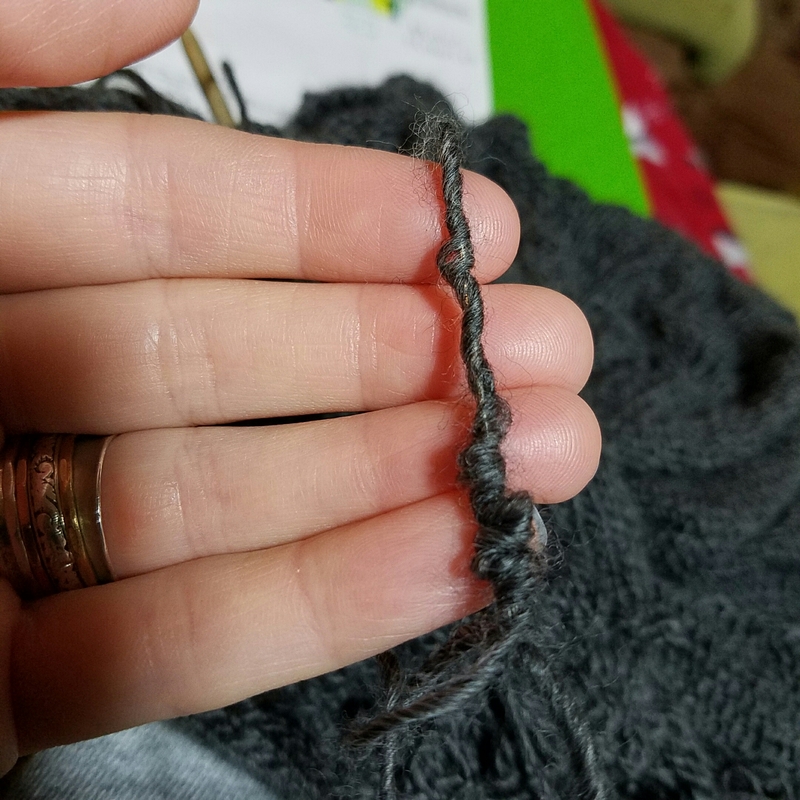 You need to pull the tail of the yarn you wove back on itself to close that loop down on the other strand of yarn. 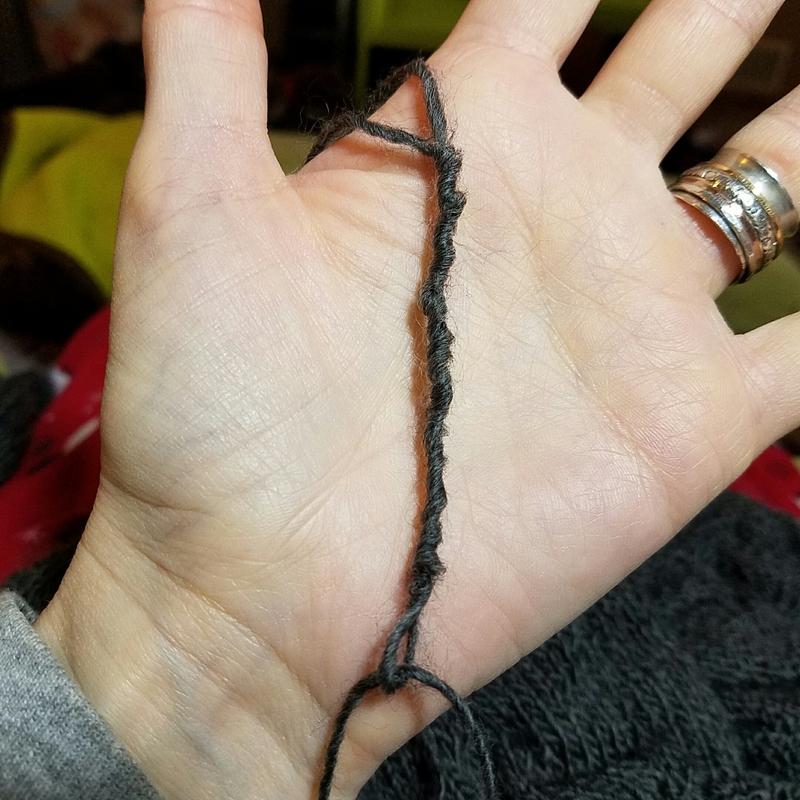 Once both ends have been woven back on themselves, make sure both loops have been pulled tightly closed and feel smooth when you run your fingers across them. Pull both yarns, letting the tails hang, testing your join, and at the same time, smoothing things out. Voila! Knit right on over that join. I like to wait to cut my ends until after my piece has been fully blocked,always remembering to cut them close to the fabric on the right side (public) of my work so the ends pop to the back if seen at all.